Our full halter bridle with bit attachments that snap onto the cheeks. Allow you to easily add & remove your bit, while at a vet check or stopping for lunch. The Trail Bridle is fully adjustable at the poll, nose, throat latch and cheeks. 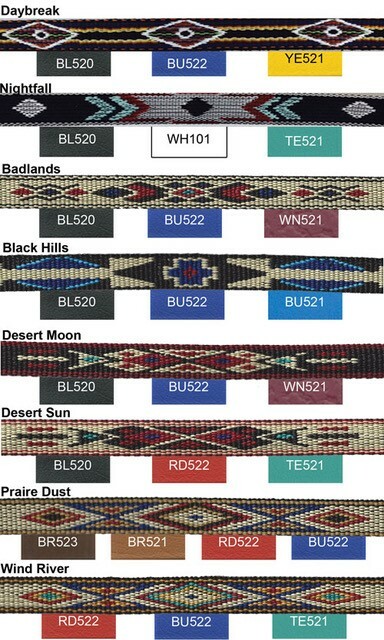 The underlay is made with matte finished Beta BioThane, you choose the color & the Navajo nylon webbing trimmed design overlay on the brow band and the nose band. Click the image below to see our favorite color suggestions!